Bryum Arnellii likes to laugh about the name of his Maryland hometown: Accident. 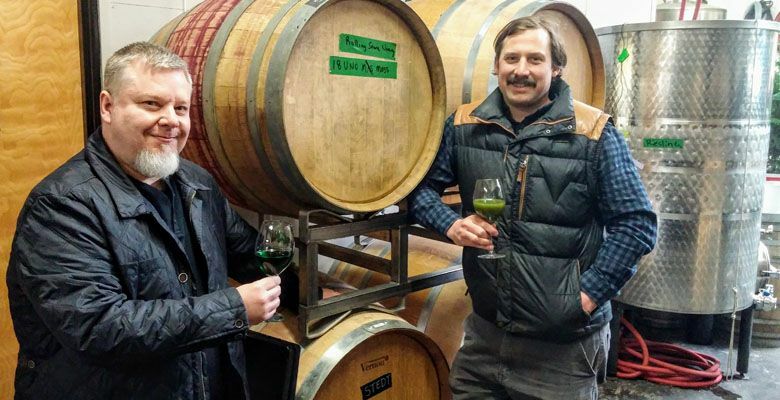 “We call ourselves ‘Accidentals.’” Accidental perfectly describes how Arnellii became the first person in the world to make a commercial wine from moss. Discouraged and broke, Arnellii took a part-time selling CBD-infused edibles out of the back of a van in Dundee. He also began taking long walks in the woods, which is where he had his epiphany. “I was up by the U-Pick kiwi farm on Worden Hill Road, and moss was just freakin’ everywhere. 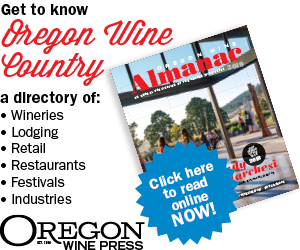 Moss is way cheaper than grapes, so I figured if I could make wine with moss, I was going to get rich,” Arnellii says. Poring through the public library near his tiny house — it’s not like the cool ones on those cable shows; it’s just really small — Arnellii found a book about cider and spirits distillation in Great Britain. 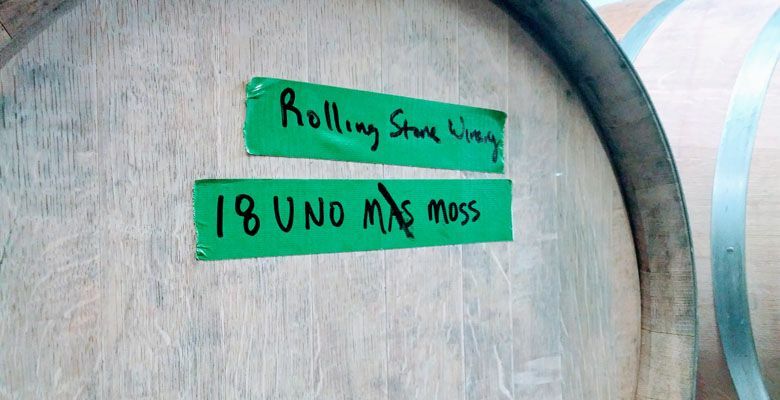 There, he found references to moss being used to make fermented beverages, and Rolling Stone Winery was born. Andreaea Cespitans sustainably grows a wide variety of mosses at her farm near Mist, Oregon. After a few experimental patches, she helped Arnellii zero in on rock cap moss and haircap moss. “The haircap moss amplifies everything in moss wine, from aromas to the body. And the rock cap moss adds a nice bit of minerality,” Arnellii says. “I thought he was crazy. But the next thing I know, he’s talked me into being his ‘mossyard’ manager,” Cespitans says. The Uno Moss is an extended rhizoid-contact natural wine. It is unfiltered, unfined and nothing is added or taken away from the wine. It tastes nutty and earthy and I lichen it to a 20-year-old white Burgundy, complete with flecks of jade. “It’s pure bryophyte dynamite,” Arnellii likes to say. Concerned that some customers would be put off by chunky things floating in the wine, Arnellii made the Clean Green. “It’s definitely not natural. I cross-filtered the hell out of it and added enough sulfur to make Vulcan cry,” Arnellii confesses. The Clean Green is refreshing, with brisk acidity and traces of chlorophyll, brimstone and shaved-fennel. Serve the Clean Green with spinach risotto, and you will be worshipped by friends and family as a demigod. After three and a half months in a combination of neutral acacia wood and a plastic IKEA toy box, Uno Moss ($25) and Clean Green ($55) were released to the world. I wouldn’t get caught watching the paint dry if you want to buy these wines. Arnellii says he has had several inquiries from a place where people are so into moss, they conduct moss tours and make it into fine jewelry. “I’m going to be huge in Japan,” Arnellii says. 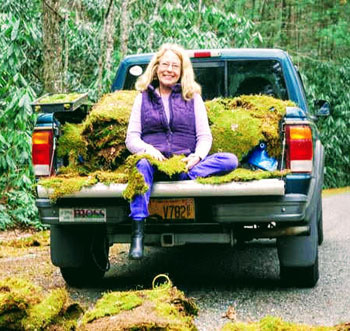 Thanks to nationally recognized moss expert Annie Martin — shown in the pick-up truck — for her assistance with this article. She is a responsible moss steward and wants everyone to know you can’t really make wine from moss. Her company, Mountain Moss, is located in Asheville, North Carolina.